Brown Pearlescent base card with image from Mo Manning [Jak Heath's Help for Katie Donation Image] coloured with Promarkers. 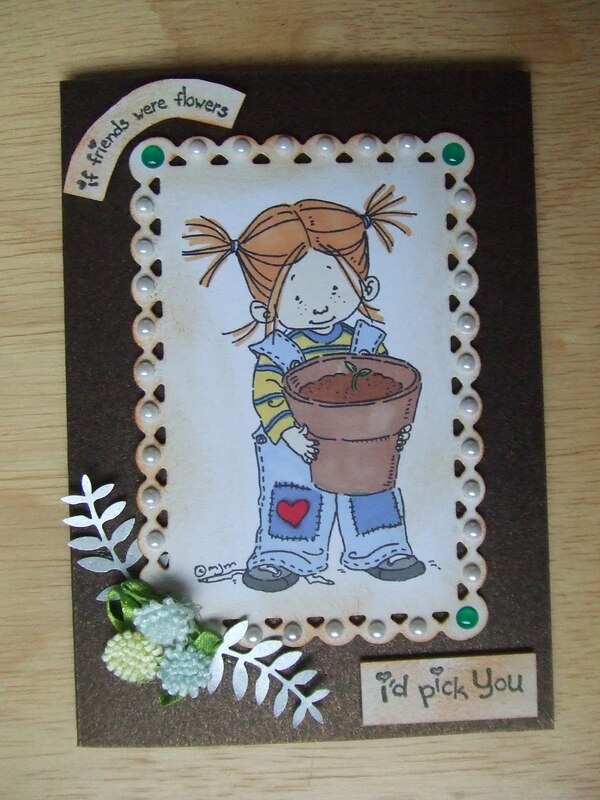 Image is printed onto Rymans card and cut with Nellie Snellen Die. Flowers are Papermania Satin Buds. Leaves are Nellie Snellen Punch. White pearls are Bling Bling and Green Papermania Dew Drops. 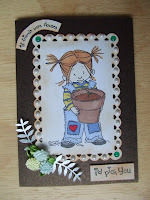 Sentiment is from Daisy & Dandelion Hawthorn & Bramble Clear Stamp Collection. I have distressed the white with Tim Holtz Rusty Hinge Distress Ink. You can help by donating £15 and get lots of images here. thank you for joining in on the competition for Help for katie.